If you are interested in starting your own business full time or taking on a side endeavour that will help you bring in some extra money, you could consider following these tips for buying and selling used cars for a profit. Because everybody needs transport and because almost everybody would prefer to have their own car to organise their own lives with, there is a huge need for affordable vehicles. The need for cheaper vehicles is so great because brand new vehicles are generally so expensive. Many people turn to used cars when they are looking for a vehicle of their own because they simply cannot afford a brand new vehicle and they do not qualify for a huge loan or cannot afford the loan repayments and interest. 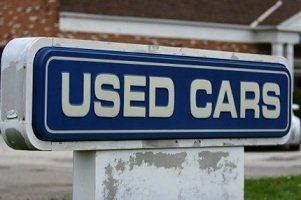 If you are looking for a way to earn money and perhaps start a profitable business, buying used cars and then selling them on for a profit is definitely a good idea. Where can you buy used cars cheaply? A great place to buy quality used cars at a really good price is from bank repossessed vehicle auctions. Often, financial service providers will repossess vehicles from individuals that they have loaned money to if the individuals have failed to pay their loan repayments in full or on time. They are usually looking to sell of the vehicles pretty quickly in an attempt to regain some of the money that they have lost. because of this, they usually sell the repossessed vehicles through auctions and also charge very low prices for them. You will regularly find very good deals on quality vehicles that are priced very low. It is a good idea to start your search for second hand vehicle to sell on at repossessed auto auctions. You can even buy repossessed vehicles through online auctions. If you are working a full time job and looking to sell used cars as a side line business, buying vehicles online is a great way to save time. You can also do your online shopping almost any time of the day or night, making it really convenient for you. It is also relatively easy to find people who are interested in buying second hand vehicles because there is such a need for good quality, affordable cars. You will definitely have to advertise your vehicles. If you are looking to save time and money, the best way to advertise is through the internet. You could upload advertisements for vehicles onto online classifieds websites like Junkmail or Gumtree or you could advertise on auto websites like Auto Trader. You could also start your own website. There are many places online where you can find companies that will host your webpage for free. You will have to create it, maintain it and update it yourself. You should be sure to pay attention to detail and read up on creating a successful website before starting. Another great way to advertise your business and any second hand vehicles that you may have for sale is through social media. You could create a Facebook page for your company as well as a Twitter account and post comments about vehicles for sale. It is important, if you are trying to gain ‘likes’ or followers, that you do not inundate people with advertising. Include some relevant information, post funny pictures and pictures of the vehicles, upload the occasional joke or bit of news that is relevant to your page and try to encourage interactivity. It is also important to spell properly, use the correct grammar and do not over do the punctuation. You must aim to look professional at all times. It is of the utmost importance that you give the best possible service at all times. Only purchase good quality vehicles and have them checked by a professional to ensure that there are no hidden problems before you purchase them. Make sure you are always honest in your dealings with your clients and always have the vehicle properly cleaned before clients view it. Make the service a special experience by being friendly, sincere, treating your customers well and giving them good advice. Add something extra to the experience by throwing in a gift with the vehicle.